» Can Karate Wigston Classes Teach Better Body Language? It’s not unusual for school bullies to pick on children who are less popular than them. While no one wants to put themselves into the shoes of a bully, it is amazing what you might learn from doing so. You might wonder what this has to do with karate Wigston classes. 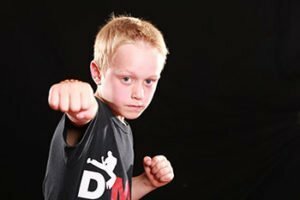 A lot of parents look into getting karate classes in the Wigston area – and elsewhere in the country – to help their kids avoid being bullied. Oftentimes, bullies will pick kids who seem shy and fragile in some way. While not all bullies have low self-esteem, some of them certainly do. They’ll never pick on children who have self-confidence and express that air of confidence as they go about their day. The last thing the bully wants is to fail in their bullying tactics by picking the wrong person. That’s why karate Wigston classes can help protect your child. Their body language is liable to change as they learn more about karate and how to perform certain moves. You are probably aware your body language can appear very different to other people, depending on how you feel in yourself. The same applies to children. If your child exudes self-confidence and benefits from taking karate classes, you can bet they will be far less likely to fall victim to a bully. In addition, even if someone does pick on them and challenge them to fight, you can be sure your child will know how to handle themselves. Karate doesn’t give kids an excuse to fight – far from it. It teaches exactly the opposite. However it does give them the skills to defend themselves should they ever need to. As such, this is a win-win situation to be in. Call us to find out more about our karate classes now.